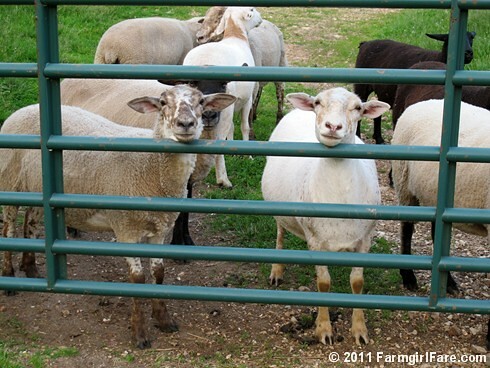 © FarmgirlFare.com, where we're gearing up for another Sheep Working Weekend! Holiday, you say? What's that? "Yes, we're adorable! Hey, where are the treats!" Holidays are for city folk! LOL!! Great picture! Curiously the 'Saturday Dose of Cute: Chin Rest' looks so much like The Daily Donkey photo on your Home Page. Do you think the sheep are campaigning for a "Daily Sheep" section of their very own just like the donkeys?